Did they shot a UFO out of the sky? It is a short video that has apparently been recorded over Turkey from a busy place in a city on a summer evening. Suddenly a fast flying around object appears and you also hear the roar of engines of one or more military jets. Then the UFO explodes, a part lands on the ground, you see a black cloud and people screaming in all directions. When the explosion takes place, the filmmaker is almost blown upside down. 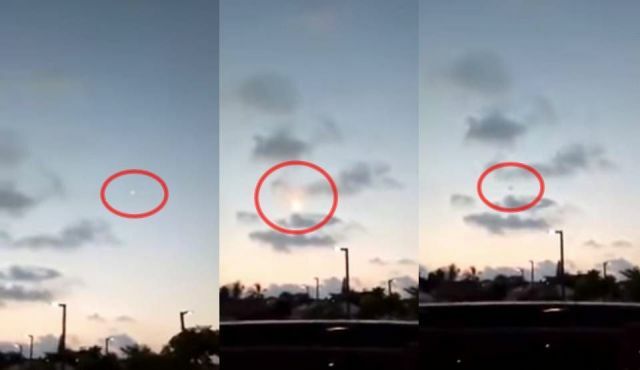 Did they really shot a UFO out of the sky or was the fast flying orb something else? That was a missle shooting something out of the sky. have been practice or a training excercise . But Turkey is on bad terms with some other country and the people were screaming in panic because they perhaps thought they were being attacked. And who can blame them?? These are unstable times. I wondervwhat the Turish press had to say about this incident? Unless they are censored. Not Turkey but Brasil. You can hear people talking Portugese .